Teddy Bear PersiansPre-Loved Persian Kittens For Sale – (660) 292-2222 – (660)- 292-1126 – Shipping Available!! One can hardly resist the over the top charm and the happy go lucky temperaments of our popular Persian kitties. 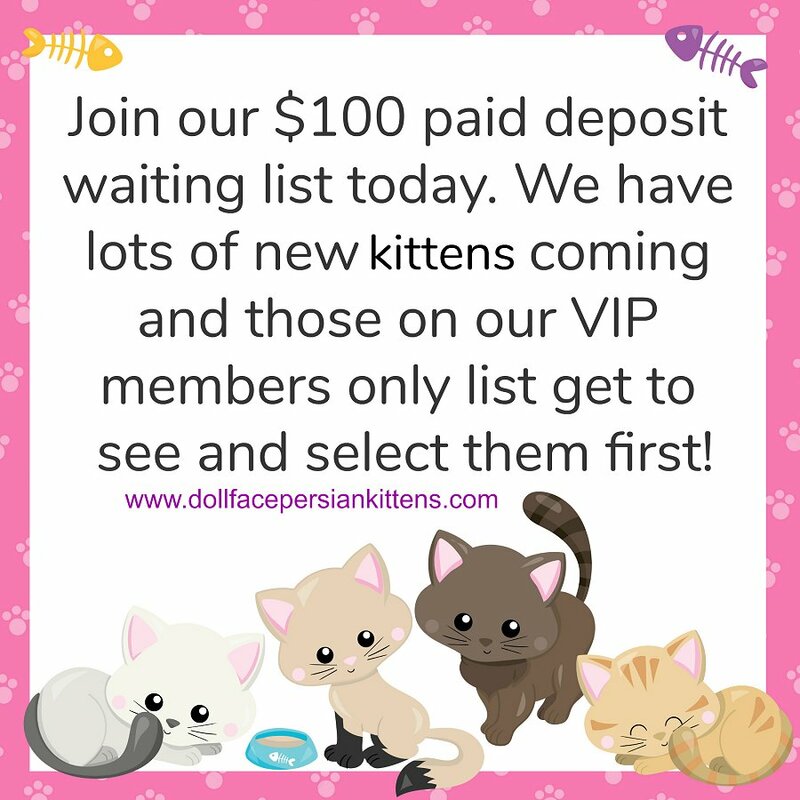 Nothing says luxury more than our floppy, puppy-like cats, affectionately referred to as “Teddy-Bears.” With their cute doll faces that bring endless smiles to their chipmunk cheeks, they are quickly rising to be the most favored of all the Persian coat colors. Our chocolate Persian kittens have coats that are richly saturated with the most exquisite milk chocolate color; it is simply divine. You will not be able to resist the temptation of snuggling up with their triple coats that are unbelievably soft and plush. Everyone remembers how they clung to their most cherished childhood teddy bear of yesteryears. Now you can bring back that feeling of endless joy that makes the heart swell with a new friend covered in love and fluff. With rounded bodies, fluffy heads and large glittery eyes, Teddy Bears are loaded with cuteness overload! Their playful personalities are guaranteed to charm you for years to come. These cutie pies have an enormous amount of love to give you and will stop at nothing to become your best friend! Treat yourself to something special, apply for our waiting list today! Once you enchant your life with one of these gorgeous and extremely affection kittens, you will understand what all the fuss is about! Our Teddy Bear Persian kittens are known for the incredibly sweet expression they have! You will never find a more loyal companion! They will often follow you from room to room. Pre-spoiled and extremely pampered Teddy Bear Persians are waiting to find their special place in your heart.